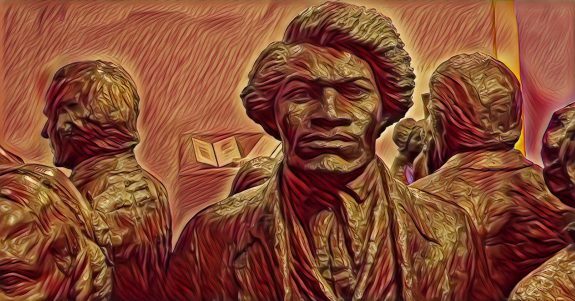 Frederick Douglass - Accessible Archives Inc.
To Our Oppressed Countrymen: We solemnly dedicate the “NORTH STAR” to the cause of our long oppressed and plundered fellow countrymen. May God bless the offering to your good! It shall fearlessly assert your rights, faithfully proclaim your wrongs, and earnestly demand for you instant and even-handed justice. Giving no quarter to slavery at the South, it will hold no truce with oppressors at the North. While it shall boldly advocate emancipation for our enslaved brethren, it will omit no opportunity to gain for the nominally free, complete enfranchisement. Every effort to injure or degrade you or your cause – originating wheresoever, or with whomsoever – shall find in it a constant, unswerving and inflexible foe. We shall energetically assail the ramparts of Slavery and Prejudice, be they composed of church or state, and seek the destruction of every refuge of lies, under which tyranny may aim to conceal and protect itself. 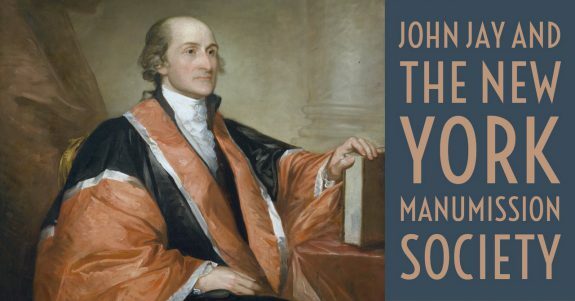 John Jay was born into a wealthy family of merchants and government officials in New York City. He became a lawyer and joined the New York Committee of Correspondence, organizing opposition to British polices in the time preceding the American Revolution. Jay was a slaveholder, as were many wealthy New Yorkers during the time period. However, in 1774 Jay drafted the Address to the People of Great Britain, which draws upon the image of slavery and compares the British treatment of blacks to the British treatment of all colonists. Friends and Fellow-Subjects: When a Nation, lead to greatness by the hand of Liberty, and possessed of all the Glory that heroism, munificence, and humanity can bestow, descends to the ungrateful task of forging chains for her friends and children, and instead of giving support to Freedom, turns advocate for Slavery and Oppression, there is reason to suspect she has either ceased to be virtuous, or been extremely negligent in the appointment of her Rulers. After 1777, Jay took a more active leadership role in the movement to abolish slavery. Between 1777 and 1785, two laws abolition laws he drafted failed to pass. Almost every member of the New York legislature had voted for some form of emancipation in 1785, but they were unable to agree on which rights to give the newly free black New Yorkers. Aaron Burr also called for immediate abolition, and numerous slaveholders independently freed their slaves after the Revolution, but thousands were held in New York City alone. A small party of scientific and other gentlemen of the city, yesterday made a visit to the city of Worcester, to partake of a dinner cooked by Mr. James B. Blake’s gas cooking apparatus, recently patented. They found the apparatus in a room adjoining Warren Hall, I successful operation, cooking the dinner for the invited guests. The apparatus is a very simple affair in its construction. The boiling part is a cast iron plate with different sized perforations suited to such utensils as are necessary for family use. 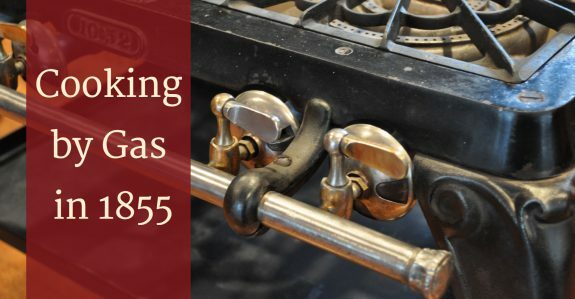 A coil of copper gas pipe pierced for a number of jets is presented beneath each perforation in the cast iron plate, at such a distance that when the cooking utensil is inserted, the flame from the jet is at the best heating distance. The baking part consists of an oven of peculiar construction, and which overcomes the grand difficult hitherto experienced in gas cooking . The difficulties hitherto encountered were the loss of heat by radiation and imperfect combustion. In the latter particular there was not only a taster of gas, but an unpleasant odor from the unconsumed gas. Mr. Blake has overcome both of these difficulties. The oven of his invention is oval in form, made of Russian sheet iron, with an inch of coal dust between the outside and the inside, which is so perfect a non-conductor that but very little heat is lost by radiation. The gas is applied at the bottom of the oven, and the heat ascends around it, between the sheet iron that forms the oven and the charcoal lining; there being no escape at the top, the mixed gases, instead of escaping there, as in other gas-cooking ovens, come down past he burners, and, being heavier than the air, not the least offensive odor is noticed. On December 24, 1851, the largest fire in the Library’s history destroyed 35,000 books, about two–thirds of the Library’s 55,000 book collection, including two-thirds of Jefferson’s original transfer. Congress in 1852 quickly appropriated $168,700 to replace the lost books, but not for the acquisition of new materials. This marked the start of a conservative period in the Library’s administration by librarian John Silva Meehan and joint committee chairman James A. Pearce, who worked to restrict the Library’s activities. Congress in 1852 quickly appropriated $168,700 to replace the lost books, but not for the acquisition of new materials. This marked the start of a conservative period in the Library’s administration by librarian John Silva Meehan and joint committee chairman James A. Pearce, who worked to restrict the Library’s activities. 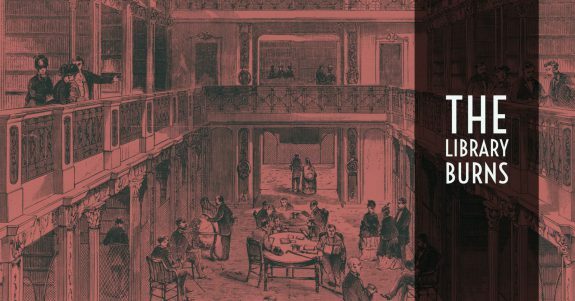 Between 1865 and 1870, Congress appropriated funds for the construction of the Thomas Jefferson Building, placed all copyright registration and deposit activities under the Library’s control, and restored the Library’s international book exchange. The Library also acquired the vast libraries of both the Smithsonian and historian Peter Force, strengthening its scientific and Americana collections significantly. By 1876, the Library of Congress had 300,000 volumes and was tied with the Boston Public Library as the nation’s largest library. When the Library moved from the Capitol building to its new headquarters in 1897, it had over 840,000 volumes, 40% of which had been acquired through copyright deposit. The 1851 fire was reported in Frederick Douglass’s newspaper on January 8, 1852. At the time of the fire, the library was still part of the Capitol building. On Wednesday morning, Dec. 24th (1851), a fire was discovered in the Library rooms of the Capitol at Washington. The alarm was immediately given, and the Fire department, promptly on the spot, used their utmost exertions to arrest the flames, but unhappily failed to do so before the splendid collection of books upon the shelves, was more than half consumed. The morning was an extremely frosty one, and the chill air and the ice-bound water seriously impeded operations. The President, the members of the Cabinet and of Congress , lent every assistance; and by their direction, the roof connecting with the rotunds, was torn away, and the remainder of the building saved. The fire was brought under control about noon. The origin of it is unknown. The Library occupied three apartments in the main building. The main room was a very large one, ninety-two by thirty-four feet, with a gallery round it. There were six recesses, or alcoves, on either side. The number of volumes upon the shelves was about 55,000; all of them works of the highest value, and many of them wholly irreplaceable. 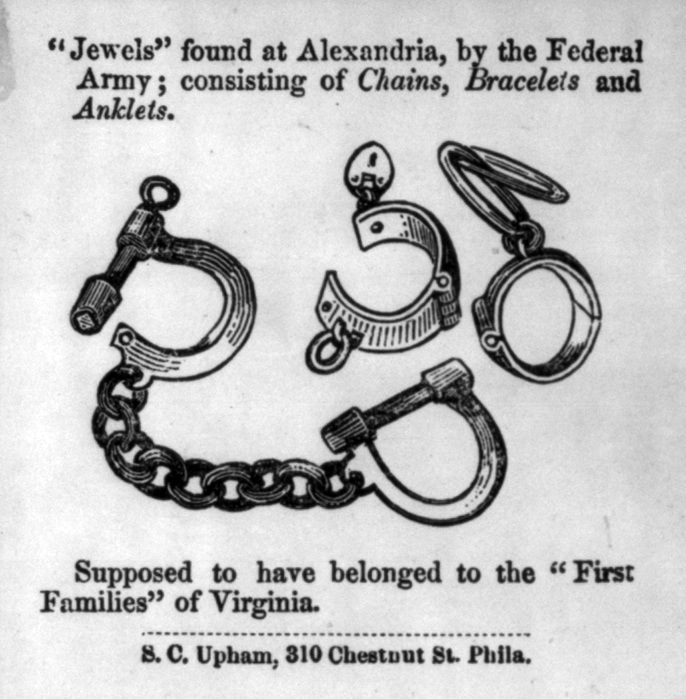 Gen. Heinzelman has within the past few weeks added to the population of Alexandria several Virginians whose desire to recover fugitive slaves outran their discretion. 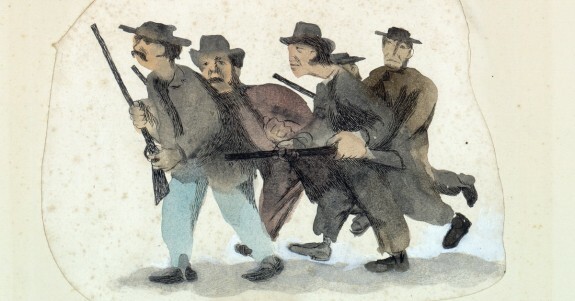 When they presented themselves at his headquarters in search of their lost bondsmen, he informed them that the soldiers of the National army were not slave-catchers, and when, satisfied that he meant what he said, they essayed to return, to their farms, he declared that he could not permit civilians to go beyond or to remain within his lines. One of them has, in consequence, been a month in Alexandria waiting for the army to advance to the other side of his plantation. ‘Dark-skinned Union men’ continue to geek General Heintzelman’s camp, but fewer rebel owners visit him.